Twitter CEO Jack Dorsey kicked off the company's developer conference, announcing several new mobile products and features. Twitter’s old/new CEO Jack Dorsey kicked off Twitter Flight, the company’s mobile developer conference, in an unusual way: by apologizing to the people in the audience. 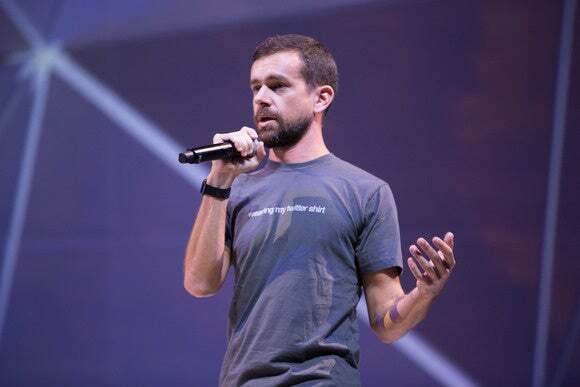 After committing to developing a “transparent” relationship with mobile developers, Dorsey welcomed to a stage several Twitter execs to explain a bunch of new products and features for Twitter, as well as for the company’s year-old app development platform Fabric. Here are some announcement highlights from Twitter Flight 2015. The most exciting announcement for Twitter users was the introduction of Twitter Polls. Now anyone on Twitter can run a poll within a tweet. Your followers vote privately for 24 hours and then get a notification to check back and see the results after the poll closes. Finally! Twitter is revamping its long-neglected Mac app, which will be available later this year. Twitter for Mac has been designed for El Capitan, and it comes in dark mode (see below). Mac users will be able to send group DMs, play videos and Vines and reply to tweets inline, as well as be able to see Twitter highlights in Notification Center. App developers have used Twitter’s mobile login tool, Digits, to let users sign in to an app using their phone number and a SMS confirmation code. On Wednesday, Twitter announced that Digits will also incorporate email login and verification. Twitter lets developers add a “Install” call-to-action button to their tweets in order to drive app installs. With the new App Spotlight feature, these Install buttons will also start surfacing right underneath the bio in the Twitter profiles of your favorite apps, like Candy Crush Saga. Mentioned briefly, Fabric’s Crashlytics tool will also support tvOS and the new Apple TV, so that app developers can get crash reports from Apple’s forthcoming set-top box. Twitter is helping maximize the visual appeal of embedded tweets on the web by introducing a new responsive grid display, incorporating photos, video, and Vines. Publishers like CBS News can use the same tools that Twitter used to create Moments to find and display tweet collections. Any developer will tell you that submitting an app for release can be a real pain. Thankfully, apps using Twitter’s Fabric platform will now be able to tap into Fastlane, a free, open-source deployment tool that cuts out the grunt work and automates the app release process. Previously only available to iOS developers, Fastlane is now getting Android and Google Play support by integrating with Fabric. Expect to see more live tweets out in the real world. During Flight, Twitter also announced a partnership with JCDecaux, “the leader in out-of-home digital display.” This means that you might start seeing tweets about a train delay while you’re waiting at the station, or see your tweet cheering for your favorite sports team while at a stadium.